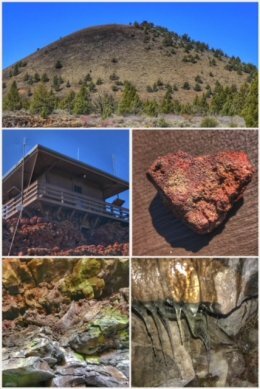 If you are like us, you would certainly expect to find lava and signs of volcanic activity at Lava Beds National Monument (established in 1925), but never in our wildest dreams did we expect to find such diversity — from more than 20 caves to explore to a Civilian Conservation Corps (CCC) fire lookout to ancient carvings from the original people who lived in this land. Let’s start with the caves… created by flows of smooth lava 10,500 to 65,000 years ago, there are more than 700 (lava tube) caves throughout the park, many home to several species of bats… though only about two dozen of the caves have developed entrances and trails and are open to exploration. You’ll find many of the caves along the Cave Loop Road, though others can also be found throughout the park. 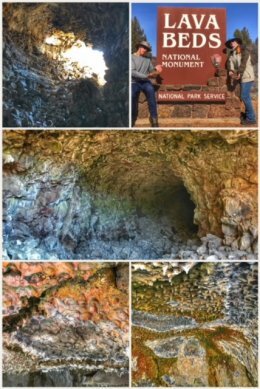 Happily, the Park Service provides visitors with a brochure that both describes each of the major caves (and their distinctive features) and separates the caves into three categories: least challenging, moderately challenging, and most challenging. 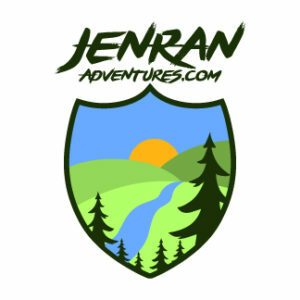 We decided to stick to the easier caves, as neither of us felt in the mood to crawl, and hit the following caves: Ovis, Paradise Alleys, Natural Bridge, Skull, and Big Painted. The Modoc people, who called this area their home for more than10,000 years, described it as “the land of burnt-out fires.” The park also has several key areas to learn more about the Modoc people, including the Thomas-Wright Battlefield, in which the Modoc defeated the U.S. Army. 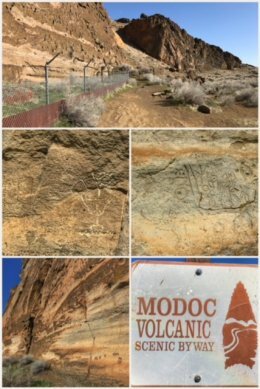 We ended our visit with a stopover at Petroglyph Point, which was once an island when ancient Lake Modoc extended across the entire Klamath-Tulelake Basin — before waters first receded leaving behind the shallower Tule Lake and the island, whose cliffs inspired native peoples to canoe to it and create images — about 4,500 to 2,500 years ago… We can drive there now because the lake waters were drained and diverted for farming and other operations in the early 1900s. More than 5,000 symbols are carved on the cliffs, on nearby boulders, and in cave shelters — making this place one of the largest rock art collections in North America. (You’ll notice the entire cliff face is protected by fencing and barbed wire as vandals have already damaged parts of the area.) No one is exactly sure what any of these symbols mean or if they tell a story; most experts see them simply as art… as a form of expression. 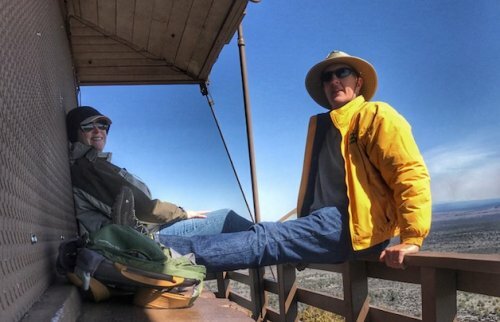 Next up was Tule Lake National Wildlife Refuge, which offers a very enjoyable auto tour along Tule Lake, including a cool little viewing blind. The refuge is one of six wetland habitats remaining in the Klamath Basin (once more than 185,000 acres of shallow lakes and freshwater marshes). We visited all three located in Northern California. 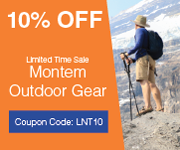 Established in 1928, Tule Lake NWR encompasses more than 39,000 acres. 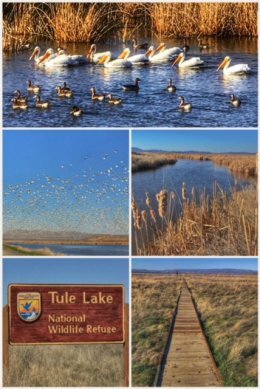 We were very happy and pleased to see Tricolored Blackbirds, as well as many waterfowl, including: American White Pelicans, Western Grebes, American Coots, and Snow Geese (which you can see in the photo collage taking off enmass when we got too close). We also just saw one quick glimpse of a river otter darting along the surface of one of the many streams/waterways. 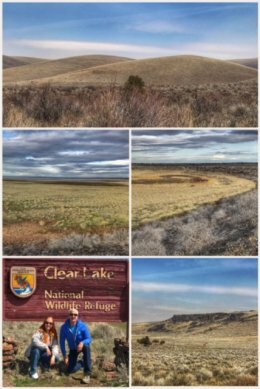 The next day we started at Clear Lake National Wildlife Refuge, just a short drive from where we were camping. Established in 1911, this 46,460-acre park is a remote, high-desert, sagebrush reserve consisting of about 20,000 acres of open water. While the upland areas are home to pronghorn antelope, mule deer, and grouse, we only saw a small herd of deer while visiting this very remote refuge. The Clear Lake Reservoir is the primary source of water for the agricultural program of the eastern half of the Klamath Basin, with water levels regulated by the U.S. Bureau of Reclamation. 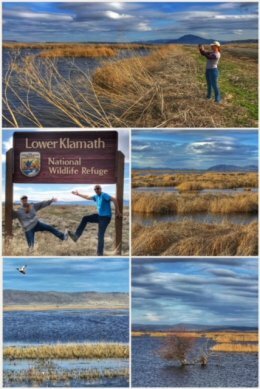 The final wildlife refuge we visited on this stop of the adventure offered the most diversity of waterfowl — fittingly so, because the Lower Klamath National Wildlife Refuge, established in 1908 by President Teddy Roosevelt, is the nation’s first waterfowl refuge. The almost 47,000-acre park is home to a varied mix of shallow freshwater marshes, open water, grassy uplands, and croplands that are intensively managed to provide feeding, resting, nesting, and brood-rearing habitat for waterfowl and other water birds. This refuge offers visitors a short and long auto tour route — and we opted for the 10-mile (long) auto loop. Along the drive, we were thrilled to see many Bufflehead Ducks, Cinnamon Teal Ducks, Northern Shoveler Ducks, and Mallard Ducks. We also saw many Canada Geese — some of which liked to stand in the road, waiting to fly off at the last minute, as well as Tundra Swans, White Pelicans, and lots of American Coots… as well as many Killdeers and some Black-necked Stilts. Next up? We finally hit our 4th state — Oregon — and spend most of the month exploring all it has to offer, starting off with Crater Lake National Park.